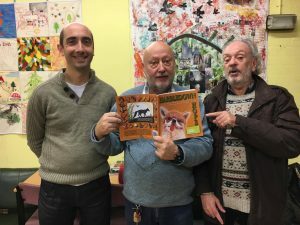 A shelter has published a book which was written and illustrated by homeless people in Canterbury. 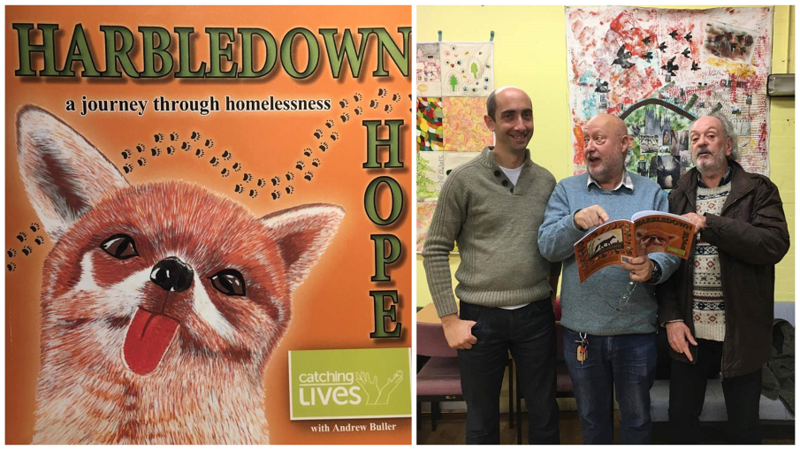 Catching Lives, a Canterbury based charity that supports rough sleepers, have launched a book called ‘Harbledown Hope – a journey through homelessness’. The book tells the tale of an orphaned fox called ‘Harbledown’ and the hardship, pain and discrimination he experiences in his journey of survival. 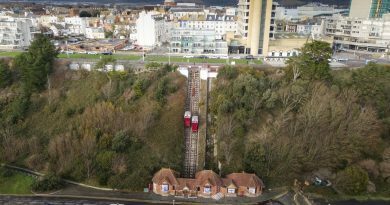 The story line was inspired by true life events told by the homeless people of Canterbury. ‘Harbledown Hope’ was co-produced by self-employed writer, Andrew Butler, who wanted to showcase the talents of the rough sleepers he met whilst volunteering at Catching Lives. The authors of ‘Harbledown Hope’ wants to break the stereotypes within the homeless community. The main character, the fox, symbolised the ‘mistreated, misunderstood and maligned’ character of rough sleepers. Jimmy, a leading contributor to the book, would like readers to understand their struggle to survive. He said: “I hope for people to understand what it’s like to be homeless. He also feels identical to ‘Harbledown’ the fox. Another client and contributor to the book, Keith Robb, felt that Harbledown represented his identity as a homeless person. He said: “It’s amazing to see the book as it is, but to me, it’s all real. The making of the book became a form of ‘escapism’. It to have positive effects on the people involved. All the artwork in the book were crafted by the clients through the charity’s arts and crafts workshops. Keith added: “Making the book took my mind off being homeless. Canterbury has one of the highest rates of homelessness in the South East. Canterbury MP, Rosie Duffield, wants to tackle this issue by building more council homes and improving mental health services. She said: “The reason why homelessness is so bad is lack of mental health provision – people aren’t getting help when they need it. Rosie also praised Catching Lives for their work and she wishes to ‘work with them as much as I can’. 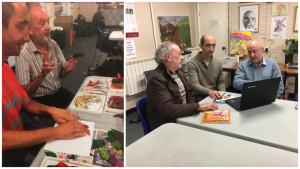 ‘Harbedown Hope’ was published in September 2017 and was sponsored by the European Union funding to improve literacy for the homeless. All the profits made from the sales of the book will go directly to Catching Lives. Jimmy’s participation in the book was his way of saying thank you to the charity. He said: “I did it to repay everything that Catching Lives has done for me. You can buy your copy of the book on Amazon, here.